So you go off hard. First stroke, second stroke, third… Harder, faster, harder. You’re pumped and blowing out all that nervous energy that’s been building up all day long. 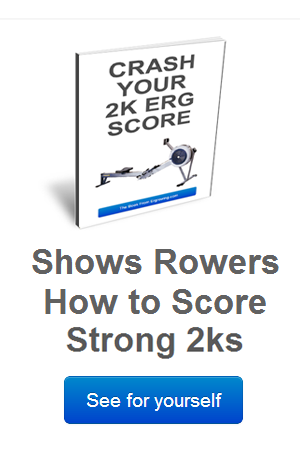 You start to think “ok – it’s a 2k erg let’s see if I can settle down into a good strong rhythm”. Stick to my guns. Do what I planned. But now at 1713 meters to go, you get that creeping feeling. All is not well deep inside the core of your engine. 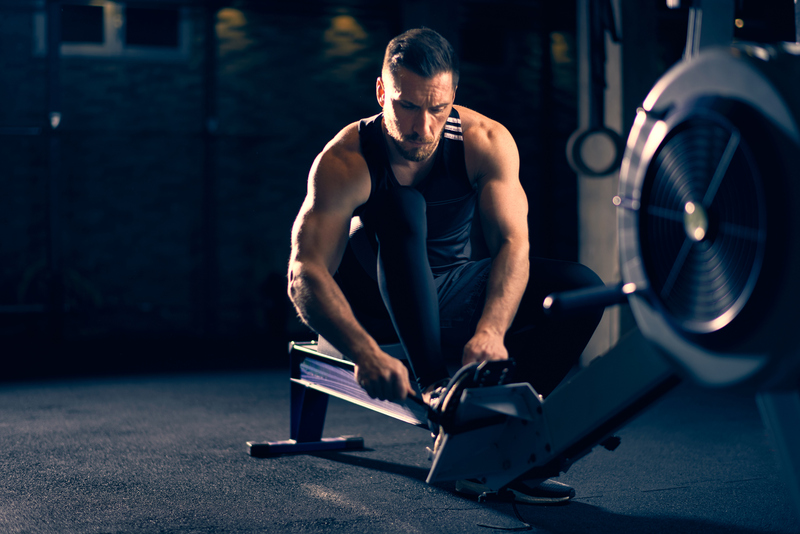 You continue on rowing and try to ignore the fact that your legs feel weak and empty. You’re burning up inside and every stroke feels heavy and torturous. You haven’t planned for this. What will you do? This is often the first thing that comes into your head when you’re faced with a 2k erg test meltdown. You just wanna let it go – it’s not your day and that is it. But whatever you do, please Do Not Stop. Because the next 4 steps, can and will, get you out of a deep hole and help you salvage something from the day. Have you ever been in a situation where the difference between a good race and a bad one comes down to just 1 stroke? Not the last one, but somewhere out on the course like 743 meters from the finish line. Someplace obscure where you let it slip through your hands. If you can hold on around that danger stroke and give yourself a chance to continue you can really learn big things about yourself. Almost anyone can do it when it’s easy – right? We’ll what about when it’s really, really hard? This is the time where you earn that inner strength and confidence that can set you up for the rest of your rowing life. It’s what sets the great rowers apart from the good. 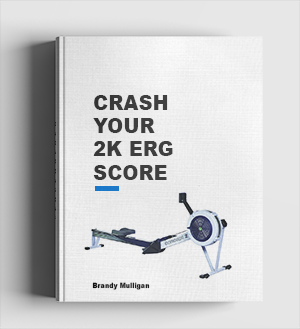 Ok it’s only a 2k erg – a short distance with little time to mess around, but if you back off on the power and follow the next step you will save yourself a lot of pain and failure in the long run. How much should you back off? Well if you were aiming to pull even splits of say 1:40 for the middle 1000, you should go to 1:42 or 1:43. Back off enough so that you can recover. Immediately after backing off on the power you need to increase your rate. You need to keep it light. Keep the wheel spinning along. Take the load off your legs, back and arms. Stop muscling the handle like you want to choke it. Back off, rate higher. And just spin it . . nice and lightly with a nice high tapping along rhythm. If you were at 33, go up to 35. Relax your face and close your eyes. We rowers love to show how hard it is. There’s nothing like showing off our ‘I’m being tortured’ face right through a 2k erg. Well in damage limitation mode you absolutely must quit being tense – immediately . Because your mind plays tricks. When you’re in 2k erg test meltdown your body wants out and your mind will do everything it can to make it happen. It will make 1:43 feel like 1:37. So shut the windows, relax and don’t look out. Tap the wheel along with relaxed muscles and a nice, high light rate. It will help your to blood flow. It will help you recover. You just need to have patience. And faith. Step # 5. You will come round. Recovery will come, but when it does, Do NOT start muscling the handle back down to 1:40. You need to nurse it back down, slowly and incrementally in time with your ability to absorb the extra work load. And don’t worry, it’s never too late. Even if your 2k average power target is still high you can always sprint like never you’ve never sprinted before – to the line. And yes, you can open you eyes again. But you will only be capable of sprinting if you have followed the steps. And when it comes to the sprint make sure you don’t go too early. Do 40 seconds – max. Make the sprint pay. Give it everything. Be angry. Be annoyed. And when you get to the finish line, be absolutely finished. It should work. It always will unless there’s something seriously wrong (like you are ill or something).Done correctly, you will recover and limit your losses. Better than putting your head down and rowing yourself to a standstill.